“But look, you can see beautiful New Jersey!” Genocchio told me with his usual exuberance. 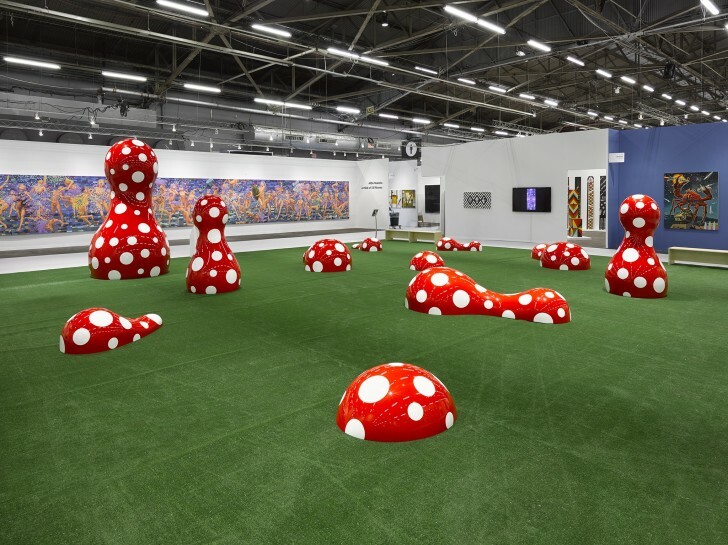 Image: Yayoi Kusama, GUIDEPOST TO THE NEW WORLD, 2016 at the Armory Show, on view in Platform, a new curated section. Courtesy YAYOI KUSAMA Inc., Ota Fine Arts Tokyo/Singapore and Victoria Miro, London, © Yayoi Kusama.